October 10, 2018 -- 6 Steps to Radiology is a series of six articles that will run throughout the 2018-2019 academic year to help medical students find their ideal radiology residency program. It includes answers to common questions that radiology program directors and advisors have been asked; some advice reflects the personal opinions of the authors. The first article in the 6 Steps to Radiology series focused on some of the components you need for your application packet, while the second column addressed issues such as updating your curriculum vitae and writing your personal statement. This article offers advice and tips for the radiology residency interview. The radiology residency interview is one of the most important parts of the application process. It is an opportunity for the program and the applicant to determine fit. Most critically, does the applicant fit well with the culture of the program? Will the program provide ample opportunities for the applicant to grow and reach his or her full potential? The interview affords both parties the chance to decide if this will be a successful partnership. The four to five years spent in training can be the most transformative time in a physician's career. There are several steps an applicant can take to "nail" the interview. It is important to take some time before each interview to learn about the program. This includes researching the institution, its mission statement, and the institution's priorities over the next five years. You want to make sure that your values match their values. Prior to arrival, one should also take the time to research the faculty and residents who will be conducting the interviews. This should include where they went to college and medical school, their place of training, where they have worked, and their research focus. This gives you the chance to establish connections with the interviewers and potentially break the ice during the first few minutes of the interview. For example, "We went to the same medical school" or "I have done some research on a topic you are an expert on." Researching the locale is also crucial. Is this an area where you would be happy to live? What is the city known for? Once you have determined that the location is desirable, communicate that to your interviewers. Knowing something about the location shows strong interest in the program. It's also helpful to give the interviewer a visual of how you fit. For example, "I am an avid boater, and this location near the water would be great for me and my family." Remember, though, you will have to live there for the next several years, so make sure that you can truly be happy. Reach out to current and prior residents to glean more information about the program and the area. Ask questions such as the following: Where do most residents live? How expensive is it to live here? Do you like living in this area? Were you happy with the program, and do you feel you were well-trained and prepared for independent practice? Are the residents and faculty collegial and supportive? Try to arrive early so you can explore the location. If there is a dinner before the interview day, do your best to attend, as absence from the dinner sends a message of disinterest. If you can't participate, reach out to the chief resident or program director and explain why. If you do attend the dinner, keep in mind that your interview has started. This is very important. Even if there are no faculty members at the dinner, residents are assessing whether they want you to join their program. If alcohol is served, limit your intake. Getting intoxicated at the dinner is a surefire way to get noticed -- and not in a good way. The dinner is an opportunity to make a good impression in a less-intense environment. It allows for making connections with attendees from the institution, which may make the following day more relaxed. Both interviewers and interviewees are likely more open for casual conversations. It is an opportunity to let the other residents know what kind of person you are and what motivates you. Prior to getting a good night's sleep, review your notes about the program and the people who will be interviewing you. Much has been written about how one should dress for an interview. Although we don't want to stifle your sense of individuality, a well-fitted, somewhat conservative suit is the ideal choice because it conveys respect. Wearing a loud, colored suit or unusual accessories will get you noticed but not necessarily in a constructive way. Your demeanor is equally important, and there is an important balance between confidence and humility. Keep in mind that most of the other interviewees are highly accomplished, as are the faculty and residents interviewing you. Look for opportunities to share key information about yourself. This shouldn't be a unilateral exchange where you list all of your accomplishments. It should be a reciprocal conversation, flowing much like a tennis match. One of the things the interviewer is assessing is your ability to communicate with others, and that includes listening and answering questions appropriately. You may not get the opportunity to share everything you wanted to share. Don't fret, though, as the program looks at your written application closely and will glean additional information from it. Be truthful in your application and your interview. We cannot emphasize this enough. The interviewers have been doing this for a long time. Dishonesty is a quick way to become an undesirable candidate. Do not disparage other programs, your medical school, your current geographic location, or other candidates. It is a very unattractive trait in a candidate, even if some of your gripes are valid. It signals to the program that you will be a complainer and perhaps difficult to work with. No program is perfect, and we are looking for residents who look to solve problems. Keep it positive! If you have a reason to be in this location, make sure to communicate this to the program. We want people who will be happy. This includes both inside and outside the institution. Wellness is key to success, and it does not occur without both professional and personal happiness. You know it's coming, whether you like it or not -- the last question, about whether you have any more questions. Be ready. A thoughtful and personal question will allow you to emphasize or re-emphasize why your being a resident at said program would be beneficial to both parties. For example, "I have previously developed teaching tools for my peers. Is there any opportunity for me to add value to the program as an educator?" or "I appreciate the opportunity to learn from your experience. What makes a stellar resident?" This may be your only opportunity to convey a message during an interview, as the interviewer often controls how much or what you share until the last question. We suggest talking to your advisor about what to ask, as it is personal to you and the program. Reflection: Are these my people? On the way home from the interview, take time to reflect. Jot down some thoughts and specific discussions you had during the day. An important question to ask yourself is whether you felt at home. Did you feel comfortable with the residents, faculty, and administrators? Is it a place you would be happy to spend the next four to five years? Although program rank matters, it should not be the be-all and end-all. If you thought people were unwelcoming or pompous, it is unlikely to be a supportive environment for you. There are many programs out there, and feeling safe, secure, and supported will lead to greater success for you. We are all different, so some programs may be a better fit for you than others. Listen to that gut feeling. Follow-up: To write or not to write? While there are differing opinions about if and when to send thank you notes, you will do yourself no harm by writing one. Both handwritten and electronic notes are acceptable, as the content is most important. Contact those who interviewed you, as well as anyone who helped make the interview day memorable, such as a resident at the preinterview dinner or a program coordinator who made you feel especially welcome. Address the person by name and thank them for taking the time to meet with you. Mentioning specific details about your interview or experience at the institution will help the recipient recall what you discussed and convey what was important to you. For example, "It was exciting to learn about the different quality and safety efforts your department is taking on, and I especially enjoyed discussing the work you are doing to educate providers about appropriate imaging," or "Thank you for giving me a sense of what it's like to live in Baltimore. I really enjoyed talking with you about our common interest in the arts, and with the different festivals and events held in your city throughout the year, I think the town would be a great fit for me and my family." If you felt that the program was an exceptional fit for you, it is appropriate to express this in your thank you note as well, but be genuine when conveying this and do not say it if it's not how you truly feel. Make sure the header for the email is specific to the radiology interview, be concise in content, and include a formal sign off such as "sincerely" or "respectfully." Finally, be sure to double check your spelling and the details of your note or email before you send it -- beware of copy and paste! If your note is handwritten, write neatly. Just as your arrival in the city marks the start of your interview, your follow-up correspondence marks its end and can serve as an excellent finishing touch. Dr. Pamela Johnson is the vice chair for quality and safety in the department of radiology at Johns Hopkins Hospital and is the former radiology residency program director. In 2016, she received AuntMinnie.com's Minnies award for Most Effective Radiology Educator. She has published more than 150 articles and contributed more than 75 educational exhibits to the RSNA conference, many of which have been recognized with awards and solicitation by RadioGraphics. 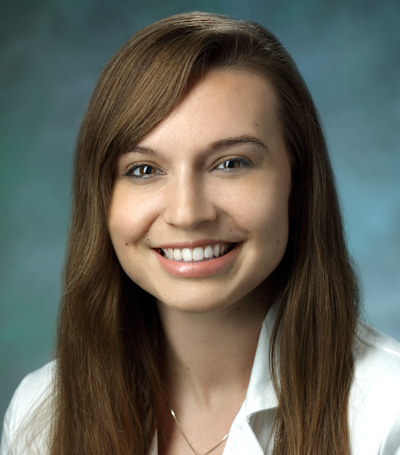 Dr. Erin Gomez is a fourth-year radiology resident and one of the current chief residents for the department of radiology at Johns Hopkins. Her academic interests include education, peer mentoring, and quality improvement. In addition to spearheading various educational innovations in the department, she has published multiple peer-reviewed articles and presented numerous education and quality improvement abstracts at national meetings. 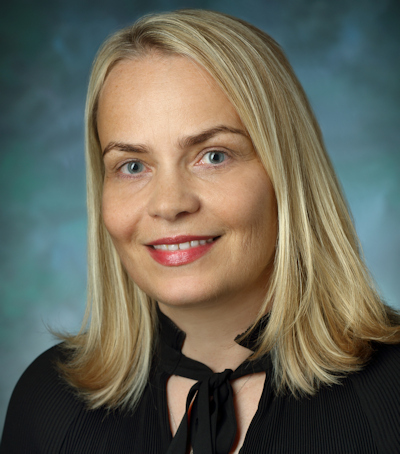 Dr. Lilja Solnes is the program director for the diagnostic radiology and molecular imaging residencies at Johns Hopkins. She is the former program director for the nuclear medicine residency program and is an assistant professor of radiology. She has published multiple peer-reviewed articles. 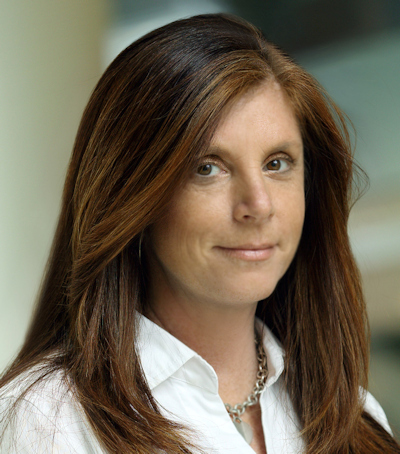 Dr. Donna Magid is a professor of radiology, orthopedic surgery, and functional anatomy and evolution at Johns Hopkins. She was involved in residency selection for more than a decade, and she has advised hundreds of students on the Match process, including her guide, "Apps of Steel," on TeamRads.com. 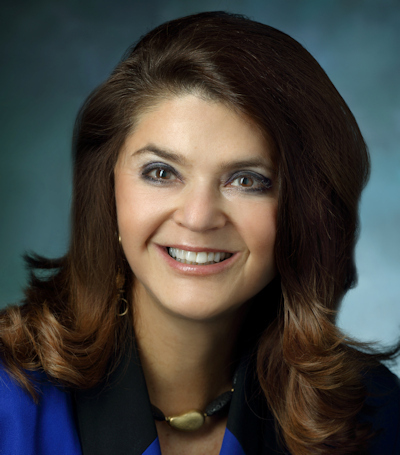 She is an avid mentor and advisor and was recently elected Mentor of the Year/Medical Hero by WebMD and Medscape.